The PNC Atlanta 10 Miler & 5K is one of Atlanta's most popular running and walking events. Starting and ending at Atlantic Station, runners and walkers wind through Atlanta's Buckhead neighborhood and are encouraged by cheer zones at every mile. Challenge yourself to Conquer Cardiac Hill by running as fast as you can down the famous hill at mile 2. Celebrate your finish with family and friends at one of Atlantic Station's many restaurants. October 16 at 11:59 p.m.
No race day registration is available, but individuals can register at the PNC Atlanta 10 Miler & 5K Race Number Pickup on Friday and Saturday, October 18 - 19 at a location in Atlantic Station. Unofficial results are available online the afternoon of October 20th. Results are made official approximately two weeks after the event, after all inquires have been processed. Buy online during registration or afterwards by visiting our online store. Pick up will take place from 5:30 a.m. - 7:00 a.m. race morning. If you would like to switch races, email [email protected] with your request or visit Solutions at race number pickup. 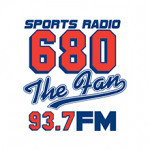 There will be an additional charge for switching from the 5K to the 10 Miler. There will be no refunds for switching from the 10 Miler to the 5K. Shirts will be provided based on availability to those switching events. Those who unofficially switch races during the event will be disqualified and removed from results. In order to serve all our athletes, Atlanta Track Club offers opportunities for Athletes With Disabilities (AWD). If you are an AWD and interested in participating in PNC Atlanta 10 Miler & 5K, please email [email protected], to discuss what reasonable accommodations can be made based on your specific needs. Atlanta Track Club officials will provide reasonable accommodation to Athletes With Disabilities on an individualized and event by event basis. 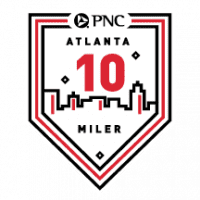 The PNC Atlanta 10 Miler & 5K is the tenth event in the 2019 Atlanta Track Club Grand Prix Series presented by Piedmont Healthcare. For more information on the 2019 Grand Prix Series, please click here. Please note: Your age on December 31, 2019 is used as your base age for Grand Prix scoring. For example, if you are currently 34 years old but will be turning 35 in November, your age will appear as 35 in the standing throughout the Grand Prix season. Parking is FREE to all participants on race morning. With nearly 6,000 participants, 1,000 volunteers and countless spectators, getting to Atlantic Station will require extra time. Please plan to arrive by 6:00 a.m. and consider carpooling. Found approximately two miles into the 10 miler course, “Cardiac Hill,” is the name given to the stretch of Peachtree Road that rises (or this year, falls) more than 12 stories in elevation in less than a mile. 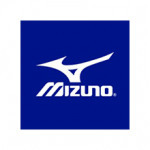 Atlanta Track Club and Mizuno have teamed up to give Atlanta area runners the opportunity to conquer it. The title of King and Queen of Cardiac Hill, will go to the man and woman who run DOWN the hill the fastest. Beginning in 2018, the top 50 men and the top 50 women with the fastest times descending the hill will earn a prize rivaling the coveted top 1000 mug at the AJC Peachtree Road Race. Be sure to stick around to see the King and Queen crowned at the awards ceremony post race. For those vying for a Top 100 mug, check out atlantatrackclub.org for race results later that day. To be eligible to win the challenge, you must be a registered event participant and have a recorded start and finish time. Overall, Masters and Grandmasters awards are based on gun time and overall winners are not eligible for age group awards. Age group awards are based on net time. The 2019 PNC Atlanta 10 Miler & 5K is the second event of the Triple Peach Race Series. Atlanta Track Club's Adopt a Mile program generates course support for the event while giving back to Atlanta’s nonprofit organizations who are working on race day and throughout the year to promote health and fitness in the community. These efforts are near and dear to the heart of our organization as the mission of Atlanta Track Club is to inspire and engage the community to achieve health and fitness through running. Did you know as a member of Atlanta Track Club you receive a discount on all Atlanta Track Club events? Join today to begin receiving discounts and be a part of Running City USA.